I have always been a sucker for pretty magazines. When I lived in New Zealand I would buy Girlfriend, which was a league above Sugar and Bliss, the teen magazines that I had to settle for when I returned to Europe. My love affair with magazines began when I was obsessed with all things 'self-help' orientated, and I would snip out the pages which told me how to get organised, get better grades or get fitter. Oh and DIY anything, though I rarely got around to actually make the projects I collected. 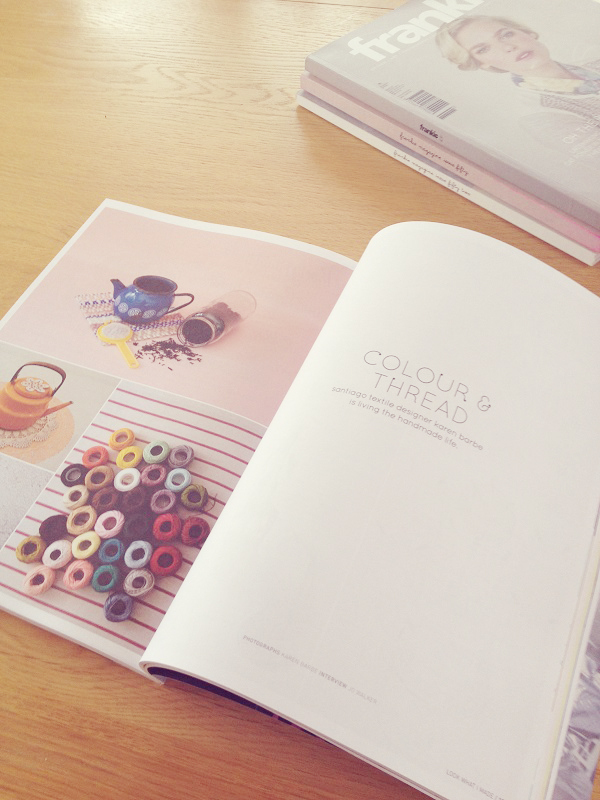 Nowadays I purchase magazines more for the design and the gorgeous fashion or lifestyle photography. I've been known to purchase Elle Decor without the faintest redecorating intention. I think this life long love for print helped me when I was designing the The Look. And I mustn't forget my obsession the idea of creating a zine when I was in my teens. The older I got, the more obsolete zines got (and they were pretty damn rare in the first place) with e-zines becoming the outlet of choice for angst-filled teens who grew up in the cut-and-paste era but could now get their pen-marked paws on a computer with a dial-up connection. I never got around to creating my zine (not yet anyway! ), but I do continue to keep many a scrapbook with cute clippings of magazine articles and photographs which inspired me. Okay, so it's not exactly an underground choice, but Company deserves a mention for being the one UK-based woman's magazine which have nailed the cute, scrapbook feel lusted after by so many 20-something wannabe-globe trotting fashionistas and bloggers. The composition of some of the pages are perfection, and some have inspired my own designs in The Look. Company was the first magazine which convinced me that white on black writing can work. Plus, in the age of the internet, touch, more than ever, is an important part of magazine design, and the matte pages of Company are oh-so much sweeter to touch than the majority of its woman-magazine buddies which share the news stand. And, although I openly admit that I buy my magazines more for the pretty pictures than the articles, there's a lot to say for the content, especially Company's love for bloggers and it's social media obsession. Hardly a page goes by without a slightly unnecessary, yet undeniably hip, hashtag or a insta-inspired pic, and this, combined with it's music, fashion and beauty articles, makes for a must-have magazine. 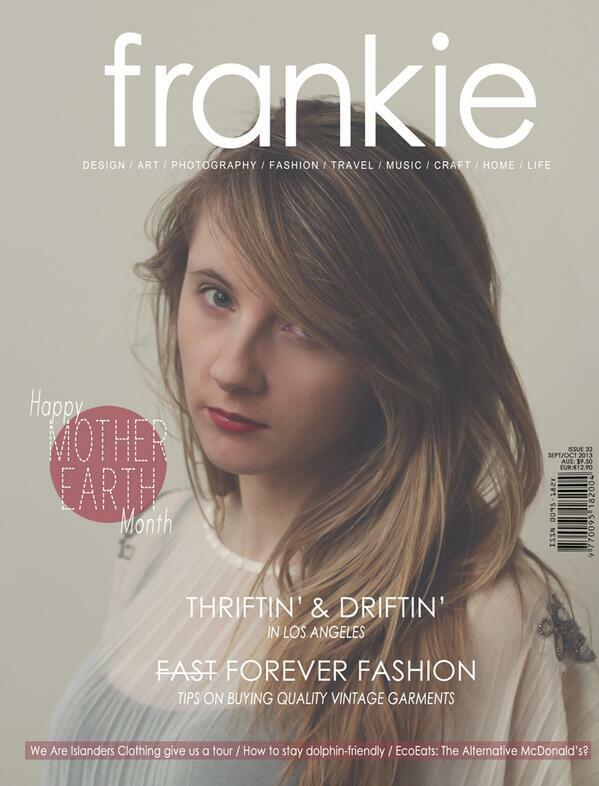 Frankie is an Australian magazine which has perfected its vintage-inspired and adorable look. 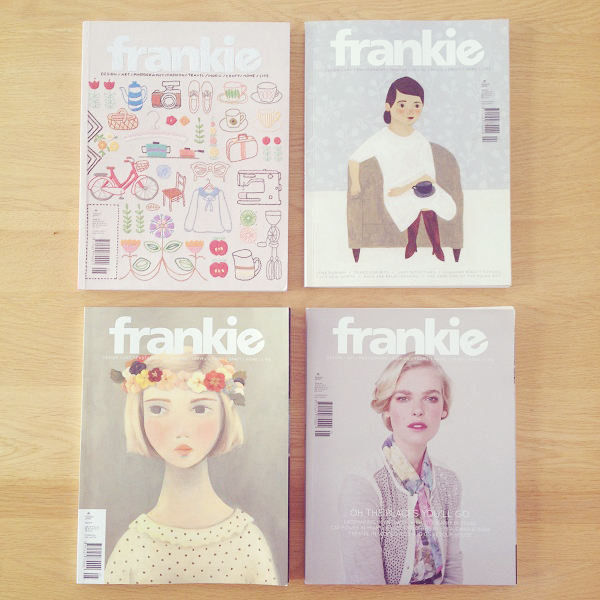 When I first discovered this magazine, an effortlessly beautiful 'Frankie girl' graced the cover, but nowadays, a too-cute-to-handle illustration sits on the front cover. The quaint front-cover image combined with the minimal cover design made it hard to resist. The minimal theme is adhered to throughout, with whole pages dedicated solely to titles and subtitles, and an abundance of negative space which allows the images to take all the reader's attention. Well, there it is. My love affair with magazines rages on. If I find any other gems I'll keep you posted. I promise. I adore Frankie too but rarely find the time to read it the way it deserves being read. 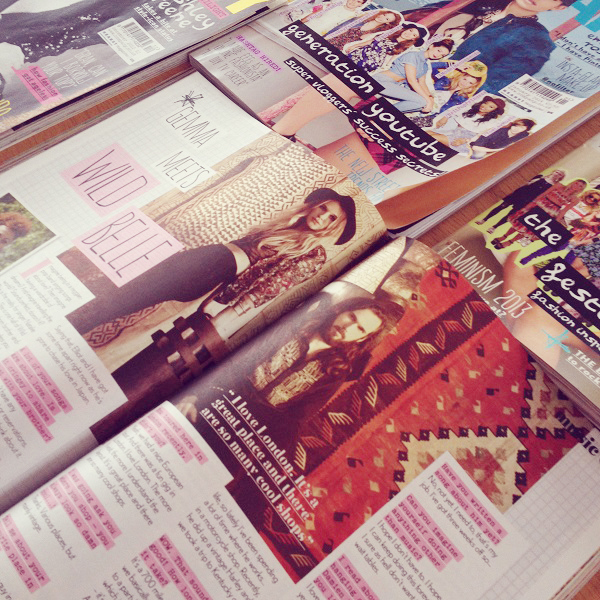 Hopefully you would have loved Wish magazine that my best friend and I made last year! 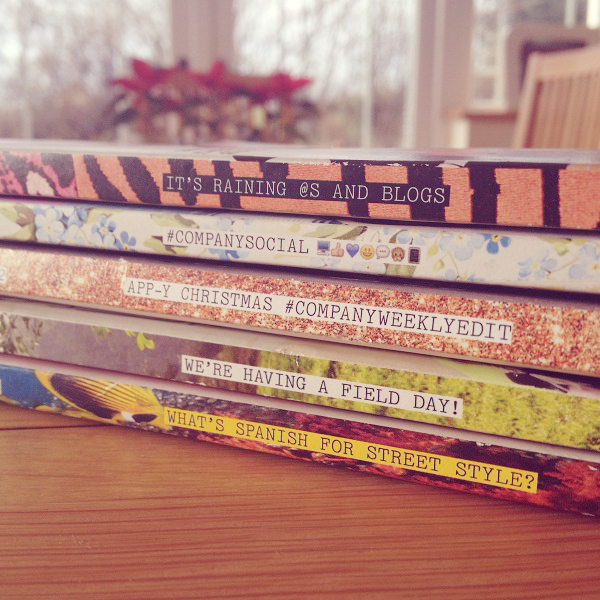 Fabulous post and I love indie magazines, too! I LOVE Frankie but I wish it wasn't like $20 per magazine in the states! It's fabulous, though! then I am a big fan of Nylon and its layout! also, I enjoy so much digging into interior and fashion magazines of different countries, I could read them for an entire day!